It's an Appidemic! Have You Caught iStopMotion for iPad Fever Yet? "I’m a fan of stop motion animation. More specifically, I’m a fan of sword fighting skeletons, and no amount of CGI progress will ever make sword fighting skeletons look better than Ray Harryhausen’s animation work in Jason and the Argonauts [Side note: we couldn't agree more]. 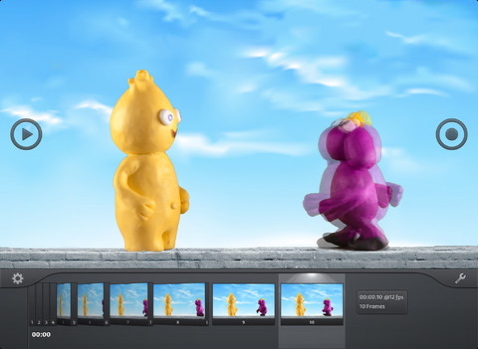 Creating such effects can be a lot of fun, and with Boinx’s iStopMotion for iPad, it’s pretty easy, too..."
"It couldn’t be much easier, really. After creating your setting and choosing your subject, you simply set the focus and exposure and take your shot. Move your subject, and take another shot. iStopMotion uses transparency to show the previous layer under the next shot, so you can accurately adjust your subject’s movements. You can adjust the frame rate up to 24 frames per second, but remember that the more frames you use, the more images you’ll need for every second of movement." Read TechnologyTell's full review of iStopMotion for iPad here! Find out more about iStopMotion for iPad!